The Chubby Chipmunk may sound like one of those quirky roadside attractions but its actually one of the greatest treasures of the Black Hills. There might not be much gold left the hills (or is there?) but if you think chocolate is just as, if not more, valuable, then you’ll want to make a stop in Deadwood (SD) for a big box of these decadent truffles.They are big, creamy, and full of rich flavor. If you can’t stop be sure to check out her website. We don’t eat many sweets so when we do, we like quality. My whole family loves a monthly stop at The Chubby Chipmunk. These lovingly made treats satisfy any sweet tooth. They offer Dark, Milk, and White truffles along with other unique chocolate candies. There is a flavor for everyone. A seasonal favorite, in my family, is the refreshing root beer float. The peanut butter crunch, in dark and milk chocolate, is 100 times better than a commercial peanut butter cup. My oldest child favors the fruity white truffles like keylime pie and raspberry cream. The cinnabon has satisfied my cravings for sweet, spicy, and caky in one gluten free white truffle. The tots will eat anything chocolate and one of my husbands favorites is the dark chocolate trixie made with pure butter toffee. I love that we can get such a wonderful treasure right in our own backyard. There’s lots to do in the Northern Black Hills so while you’re up here I strongly urge you to try this Deadwood gem. How do you get to the Chubby Chipmunk? The Chubby Chipmunk in located at 420 Cliff Street in Deadwood, South Dakota. It is located in an old Art Deco Style filling station on the South end of Deadwood, just before you would turn to go south on US Hwy 385. What is your favorite truffle? 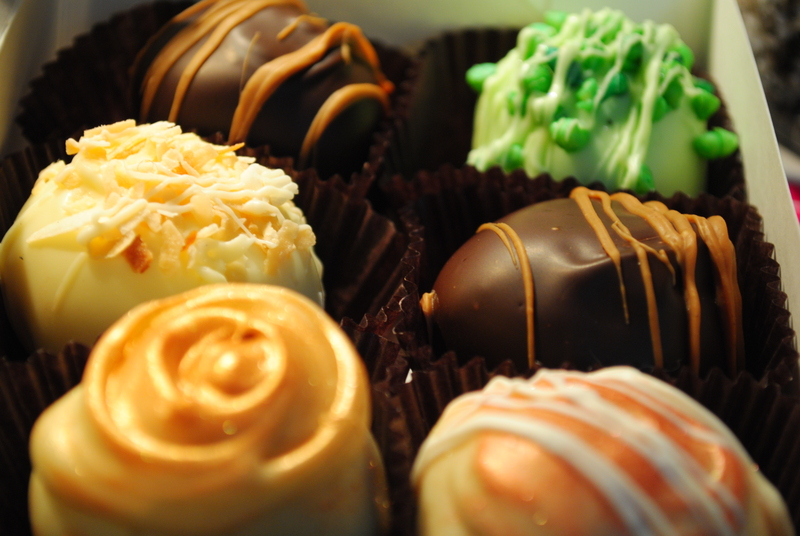 Most of the Chubby Chipmunk truffles are gluten free, just ask them.